The four will be improvising on famous jazz standards, as well as playing original songs from Luiza’s author album – “Heritage”. Celebrate the US of A in a traditional way. Sounds like a good start of a week? 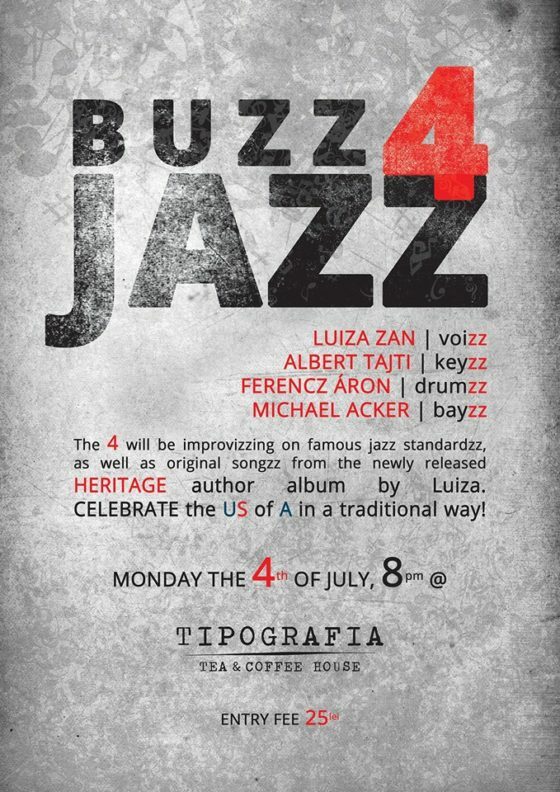 Monday the 4th of July at Tipografia. Download our press kit containing approved photos, bio to use in your publication. Kit is provided for media professionals.